Excuse me while I take a deep breath *uuuuhhhhh whhhhheeeeewwwww*. Ok, much better! So this may be the first time I have sat down for longer than 30 seconds in the past two weeks. Which would explain my lack of blogging. So that was the bad news, here’s the good news. 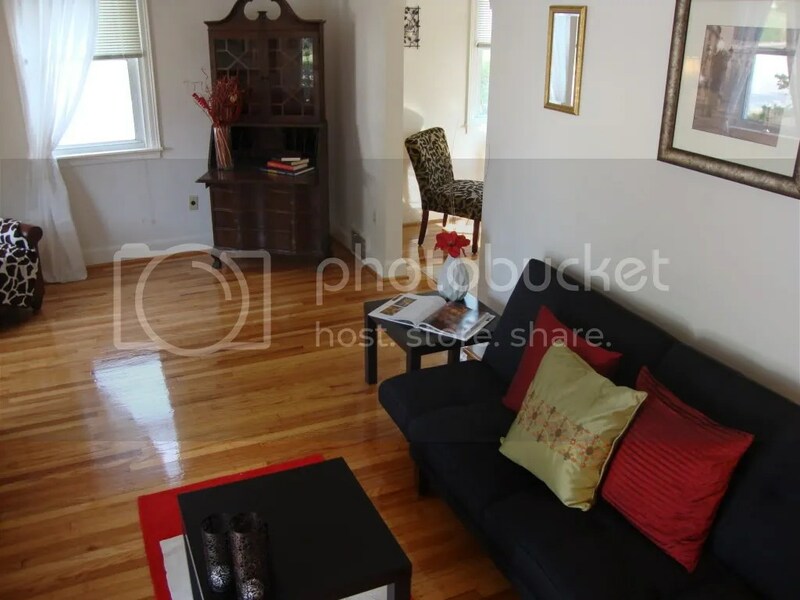 I’ve been SUPER busy staging staging staging and I have tons of blogging material in the vault. MMMMWWWAHHAHAA. Sorry, I think of vault and immediately think of evil laugh. On to the task at hand. I would like to share last week’s staging. This is a beautiful single family on a quiet street in Roxborough. This home has so much to offer, newly refinished hardwood throughout, 3 br, large EIN kitchen, large yard and so much more. The problem, it wasn’t screaming ‘Hi I’m your new house, buy me!’. It was lacking direction and charm. 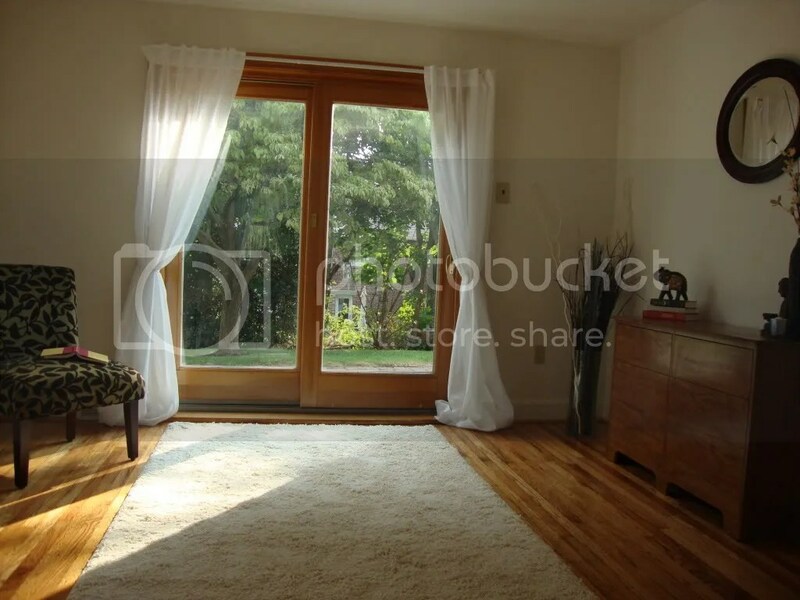 So here’s how we transformed this cold space into an inviting home. You will notice that this isn’t our typical staging. First of all it’s a single family, we rarely get calls to stage singles. Probably because they are few and far between in the city. Second, we were on a tight budget. So we decided to mix our furniuture with some of the seller’s pieces. At first I was a little nervous because the furniture wasn’t ‘contemporary’ like the furniture I bring in. But after playing around and a little creativity I was able to mix the two seamlessly! 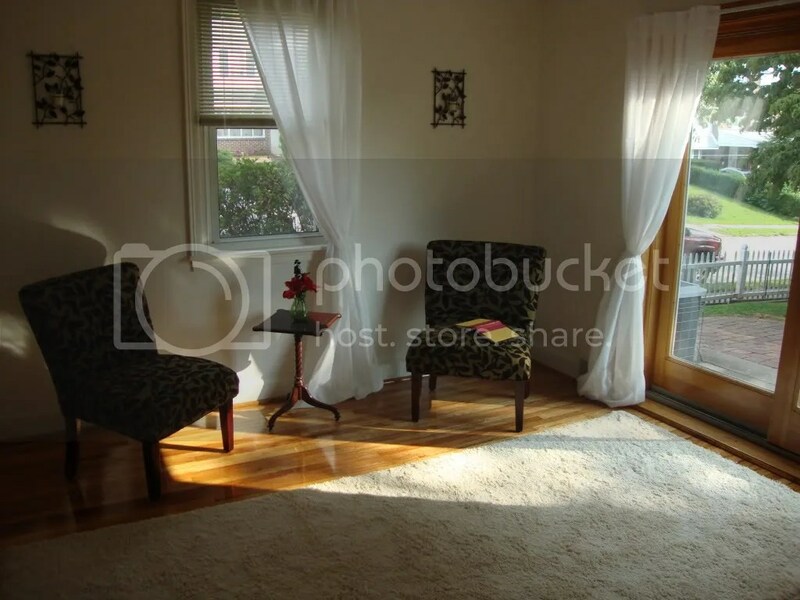 You will notice the large secretary’s desk in the front room. By opening it up and adding a few books, it becomes a visual key to the many functions this room offers. The ‘bureau’ you see here was a dresser I found on the second floor. After removing the mirror and wood drawer pulls I was able to create a beautiful focal point for the room. 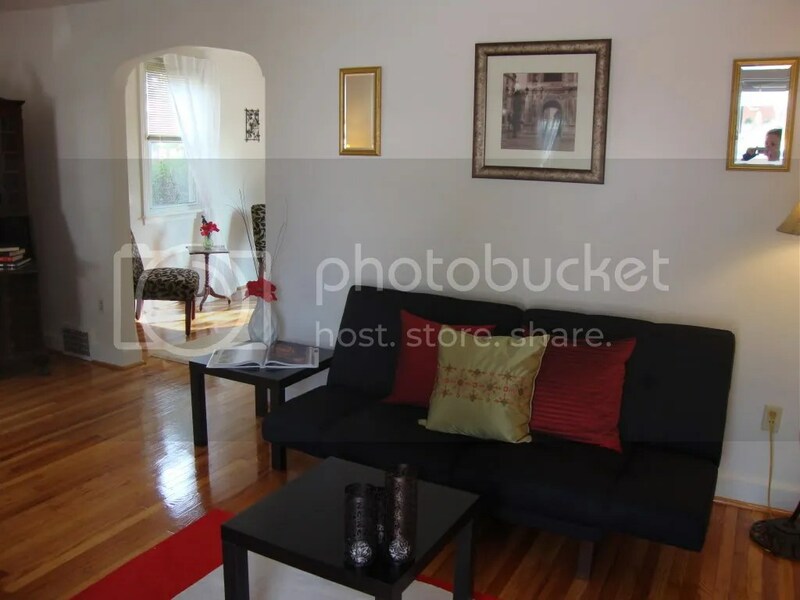 This feature says to the buyer you may want to use this as a ‘tv’ room. 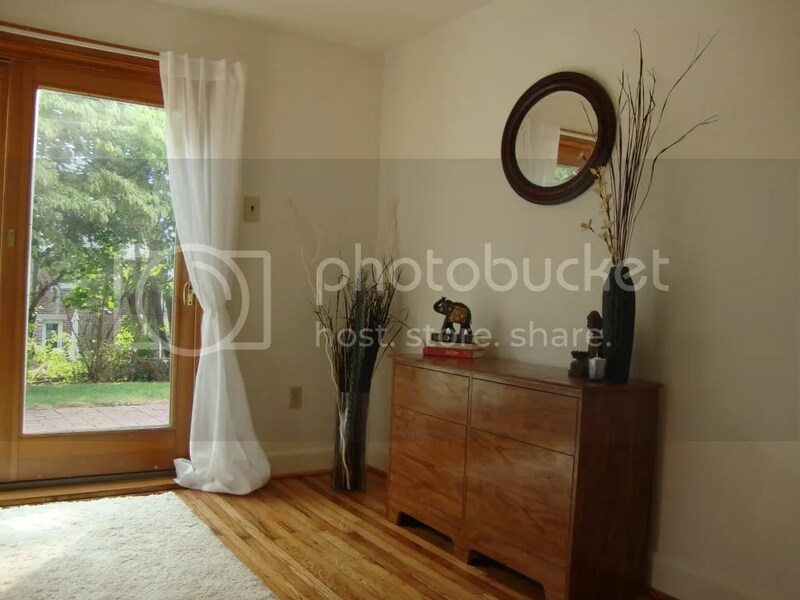 I just love how the dresser came out, very zen, which really flows with everything else in the space. I never use table cloths. However, for this project I was able to use an existing dining table that was a little beat up. 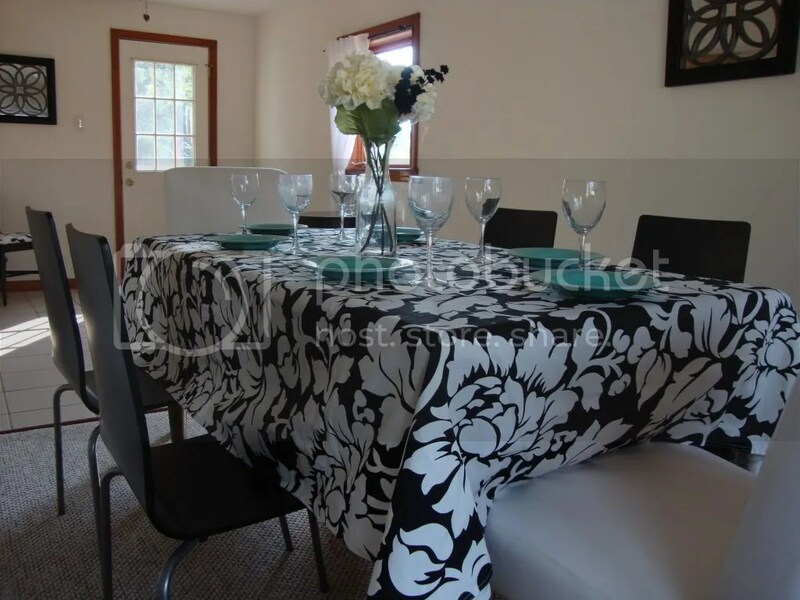 With the help of this graphic table cloth I found at homegoods I was able to transform the space into a formal area for dining. I hope you like what we’ve done here! 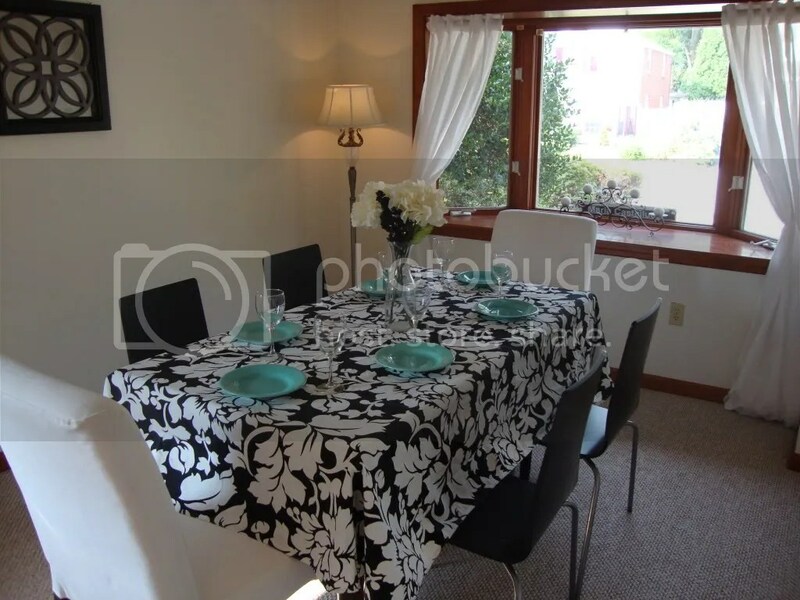 If you’re in the market in the Philadelphia area you can check out this listing here. 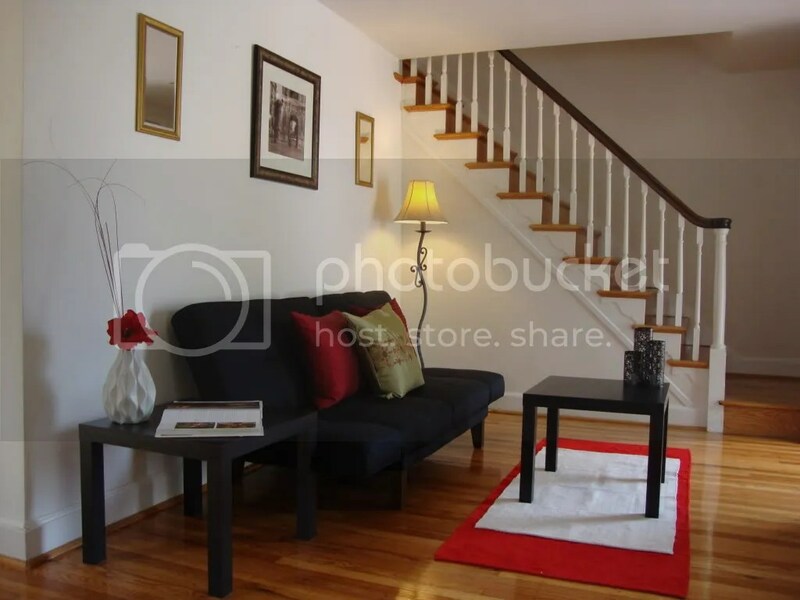 Now I’m off to finish another staging in Manayunk and pack for a staging in Center City. Check back for the pics!